In partnership with the University of Wisconsin – Madison, Ceiba offers a range of study abroad programs that take advantage of our unparalleled access to pristine tropical sites, and provide students an opportunity to immerse themselves in our ongoing projects. Rather than reading about conservation in a textbook, or learning about wildlife through videos, students lend a hand to active conservation programs, and come face to face with plants and animals in the field. Past students will tell you that their time on a Ceiba field course was a life-changing experience; we invite you to join us and see for yourself! Ceiba’s flagship study abroad program, the Tropical Conservation Semester, leads students on an extended exploration of the dramatic beauty of Ecuador. Intensive explorations of the Amazon rainforest and the Galapagos Islands, immersion in Latin American culture, and a month-long internship with a local community or conservation organization make this program unique! Come gain hands-on experience in Ceiba’s active conservation and research projects, while learning marine and terrestrial biology, studying Spanish, and living with host families in Quito and in the Galapagos. The program is fully accredited (16 honors credits) by the University of Wisconsin – Madison for students from any US or Canadian institution. During this new Marine Biology program you will spend two weeks snorkeling the second largest barrier reef in the world, off the coast of Belize. Crystal clear water, a classroom by the ocean, and incredible underwater diversity make this location ideal for learning about the marine environment. Study the ecology and conservation of fish, corals, sponges, and reef ecosystems during a pre-departure online course, then put your knowledge into practice on a remote Caribbean island in the middle of a marine reserve! Marine ecology and conservation is one of the hottest topics on the planet, and this is your chance to learn more, get involved, and gain valuable skills. In the Conservation GIS course, students will acquire detailed training on how we apply major GIS software and GPS units to conservation. Coursework focuses on practical applications of these tools, from data collection and visualization to advanced topics of spatial analysis. Geographic Information Systems (GIS) is a powerful tool that has widespread use in all field sciences, as well as in virtually any discipline that collects and displays spatial data. Online learning sessions will bring participants, even novices, up to speed before the course travels to the tropical forests of Ecuador. There, in the coastal research station at the Lalo Loor Dry Forest Reserve, students learn how these tools are applied in field research and conservation, and will put their knowledge into practice during two weeks of intensive field work. Water quality is rapidly emerging as one the most pressing environmental concerns facing the planet in the 21st century. The Water For Life course on the coast of Ecuador highlights the interconnections between human use of water resources and health. You will examine the sustainability of land and water management practices in a rural area of coastal Ecuador where people rely on rivers for their water needs. Students sample local rivers, participate in assessments of the water-related health risks in local water supplies, and conduct participatory planning of strategies that will increase sustainability and reduce the risk of water-borne diseases. Through this program you will gain skills directly applicable to solving the global water quality crisis while providing tangible services to rural communities. Ceiba’s Conservation Internships program offer students an unparalleled opportunity to contribute their energy to ongoing habitat protection, environmental education and community development programs. 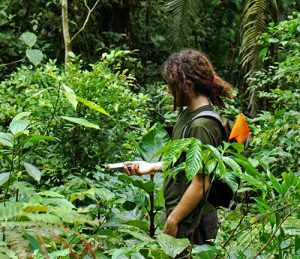 Gain valuable skills that will help in your professional future –like camera trapping, water quality sampling, wildlife demographics research, reforestation and agroforestry, and community-based environmental education — while assisting projects that are making a real difference in Ecuador. Interns choose from a variety of Ceiba projects, at the the Lalo Loor Dry Forest or in coastal communities of Tabuga and Camarones. Ceiba is more than an organization, we are a community of researchers, conservationists, and educators, working together to protect rare tropical species. Come join us, and see how our approach will give you a unique experience, and one-of-a-kind insight into how research, conservation, and education can work together to study, and save, the world’s greatest places!